For over 40 years, state biologists have guided black bear management in Maine using data collected from radio-collared bears. For this study, we will evaluate exciting new techniques for monitoring bears, including the use of remote cameras and DNA analysis of hair. Our goal is to use results from this research to inform bear management, and support a student's goal to attend graduate school. This study is the first step in evaluating an integrated, cutting-edge monitoring approach that relies on noninvasive field methods to collect data for estimating parameters that indicate the health of bears in Maine. We plan to take the unique opportunity to evaluate results from the current monitoring protocol that requires capturing bears and the noninvasive techniques introduced in this study. 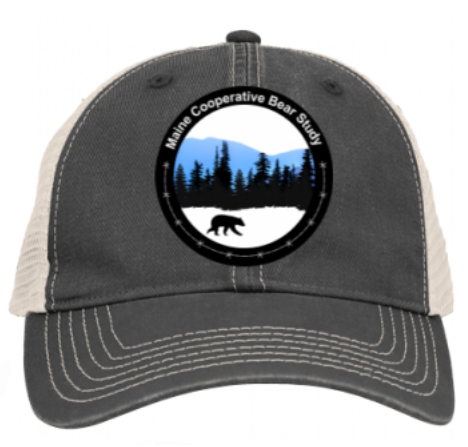 Our hope is that our field and statistical methods will be used in the future to help inform bear management in Maine. We aim to evaluate the efficacy of our noninvasive methods for monitoring bears in Maine. Videos from remote cameras and DNA from bear hair will be used to estimate indicators of population health such as bear abundance and density in the study area. We will also relate stable isotopes in bear hair to their foods to estimate bear diets and body condition, which are both measures of individual health. In addition to information we glean from cameras and hair, our partnership with the state provides us access to data from radio-collared bears and other management-related information from across the state. In the end, we will conduct a series of analyses using our data as well as those collected from collared bears to inform bear management in Maine. This study is the first step in evaluating noninvasive methods for informing future bear management in Maine. Due to unforeseen circumstances, we did not receive funding to carry out fieldwork this summer. We are seeking funds to support our students, especially our lead (Emily Higgins; student narrator who can be viewed at the end of the video) who plans to continue working on this project in graduate school. We have a research permit from the state and consent from all property owners to work on their land. We also had nearly all the equipment necessary to carry out fieldwork, including remote cameras. This project provides students the opportunity to become familiar with wildlife management techniques & their application. Maine has an abundant black bear population which we closely monitor by documenting the productivity & survival of radiocollared bears. This study provides an opportunity to evaluate a non-invasive method in an area with a known population of black bears. We look forward to learning more about this approach and its potential to augment our current black bear monitoring program. I'm excited to see this project kicking off - it has promise to be a great study and to advance our methods for answering the most basic and important wildlife question - how many animals are there? It is often very difficult to accurately estimate populations, and having methods to do so without capturing and tracking large numbers of animals saves a huge amount of resources and makes a lot of new science possible. Developing cost-effective approaches to survey animal populations is a critical need given the constraints of a finite budget. Despite this need, most studies ignore tradeoffs between the cost of obtaining data and the quality of those data. This study will fill an important gap by considering these tradeoffs. As a collaborator of Jack's, I know that his extensive experience working with bears and his strong leadership skills will ensure the success of this project while providing an important mentorship opportunity for the technicians. Fieldwork began this spring and will conclude in August. Camera data and hair samples will be analyzed this fall. DNA and stable isotope analyses will be conducted using funds from others sources. We will begin writing papers in spring 2019 while Hopkins is on a Fulbright Scholarship. Emily Higgins is currently working on the project and preparing her application for graduate school at the University of Maine - she plans to apply in January. 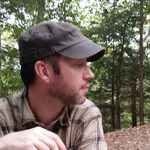 Dr. Hopkins is a carnivore ecologist with over 15 years of experience using noninvasive sampling and stable isotopes to inform wildlife management programs. He earned his PhD from Montana State University studying the foraging behavior of black bears in Yosemite National Park using DNA and stable isotopes. Since then, he has studied a variety of species, including critically Endangered Mediterranean monk seals, Threatened grizzly bears, protected humpback whales, hunted ducks, and invasive rats. Currently, he is using DNA and stable isotope analysis to investigate the causes and consequences of diet variation in brown bears in Slovenia, carnivores in southwestern China, and black bears in Maine. In addition to being a professor at Unity College, he is also an Associate Editor at the Journal of Mammalogy and a Fulbright Scholar. 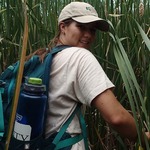 Emily Higgins recently graduated from Unity College with a Wildlife Biology degree. She interned in White Mountain National Forest as a Wildlife Technician where she conducting nuisance black bear patrols. Recently, she worked as a Field Ecology Technician and Forestry Technician sampling natural plant communities and forests throughout Maine. Over the past year, Emily worked with Dr. Hopkins, organizing locational data from the Unity College Bear Study (2012-2016). She then used these data to examine the seasonal habitat use of black bears in central Maine for her senior thesis. Emily hopes to continue our study as a MS student next year. For the past 20 years, Dr. Stetz has worked primarily on large-scale studies of abundance, population growth rates, and resource selection for large carnivores in the American intermountain West. These projects have included the first population-wide abundance estimate for grizzly bears in northern Montana and the first density estimate for American black bears in the Glacier National Park area. 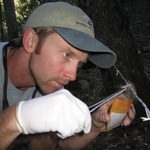 He has also worked on developing new population monitoring methods for mountain lions and river otters in North America and two bear species in the Russian Far East, as well as conducting a rigorous evaluation of numerous monitoring methods for black bears across northeastern North America. Dr. Stetz received his MSc and PhD from the University of Montana, and is currently a post-doctoral researcher at the University of Wisconsin – Stevens Point. 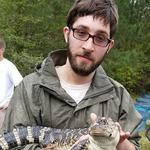 He is an Associate Editor at the Journal of Wildlife Management and a Certified Wildlife Biologist®.